Wilms’ tumor gene (WT1) is known as a tumor repressor gene causatively involved in not only eponymous nephroblastoma as initially described but also in many other incidences of pediatric malignancies. In recent decades, WT1 is also recognized as a master switch that tips the balance of epithelial-to-mesenchymal transition (EMT) that imparts the formation of multiple mesodermal organs in the embryonic development and tissue integrity in adulthood. 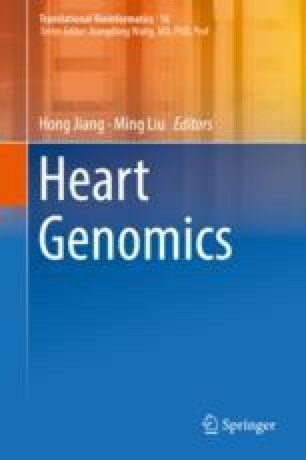 In this chapter, we review the genetic paradigm and the developmental significance of WT1 and, particularly, recent findings demonstrating how the WT1-expressing cells transcriptionally contribute to the formation of the second heart field and constitute partially the cellular composition of the compact heart, including cardiomyocytes, cardiac fibroblasts, and coronary complex. Drawing on these findings, we highlight the epicardial redeployment of WT1 expression in response to ischemic injury and the reparative role of the fetal reprogramming that confers the formation of multipotent cardiac progenitors that may potentially be utilized for cell-based therapy for ischemic heart disease and heart failure. This study was funded by NSFC 81570244. Dubé KN, Thomas TM, Munshaw S, Rohling M, Riley PR, Smart N. Recapitulation of developmental mechanisms to revascularize the ischemic heart. JCI Insight. 2017;2. https://doi.org/10.1172/jci.insight.96800. Smart N, Riley PR. Derivation of epicardium-derived progenitor cells (EPDCs) from adult epicardium. In: Current protocols in stem cell biology. Wiley; 2007, https://doi.org/10.1002/9780470151808.sc02c02s8.